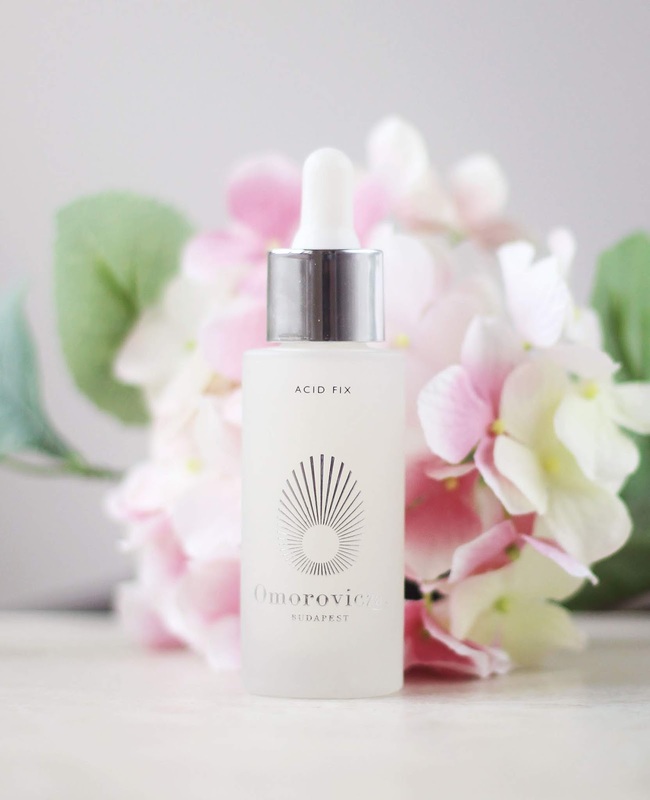 Without a doubt, my favourites skincare brand has to be Omorovicza. I first discovered their products back in January 2017, and have been pretty much obsessed ever since. Having gone through countless Deep Cleansing Masks and becoming a fully fledged Refining Facial Polisher addict, I couldn't wait to get my mitts on their latest launches. This is called Cashmere with good reason! The texture is so soft and creamy, it's such a lovely sensation when I massage it into my skin in the morning. My skin feels really soft immediately after using, too. 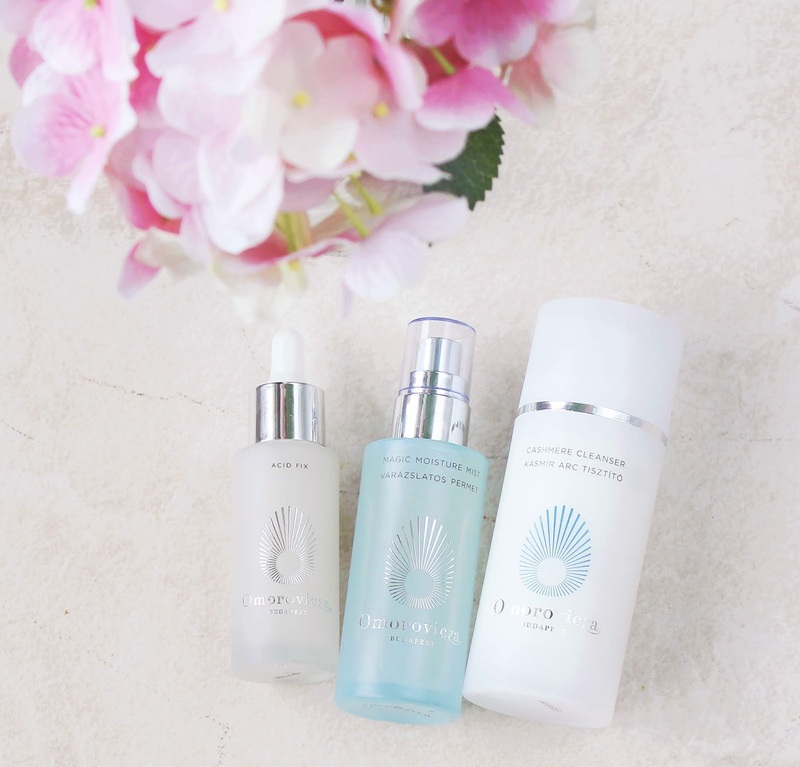 I have skin that's on the dry and dehydrated side, and I do struggle to find cleansers that don't leave my skin feeling a bit tight and uncomfortable, even when they have 'hydrating' on the label! I haven't found that with this cleanser, instead, my skin feels really soft, supple and hydrated. It contains calendula extract which is a great anti-inflammatory; apricot kernel oil, which is rich in vitamins (namely A and E), and shea butter, which is of course a great hydrator. So, in a nutshell, that's what the Acid Fix does. But that's not all: it also contains Australian caviar lime extract which softens, smoothes, and brightens the skin; sodium hyaluronate to moisturise, and to keep skin supple and radiating youthfulness: Omorovicza's patented Healing Concentrate. So it's a bit of a whopping product, isn't it? I love it because it works. For starters, you can really feel the potency of the acids because your skin does tingle and redden for a few minutes after applying (that's normal for acids). But more importantly, you see the results the morning after. I 100% see brighter skin, reduced pigmentation and all over my complexion looks clearer and smoother. As someone who's biggest skin woe is hyperpigmentation and dullness, this is everything I could want and hope for. This is my current hero product - so it's safe to say I highly recommend. This is a spin on the 'traditional' spritzes (which, FYI, I've been a fan of for a long time) in that it's not designed to be an extra boost of hydration, this is a liquid moisturiser. Yep - you can skip the heavy greasy creams and opt instead for a light weight, ultra fine mist. What a saviour for Summer time! I personally have been loving using this in place of a cream. There's something a bit more skin thirst quenching about a liquid. Then again, take a look at the ingredients: macadamia nut oil (rich in fatty acids to condition and brighten), rosehip oil (packed with vitamins), sweet almond oil (soothes and strengthens), wheat germ oil (rich in vitamin E and a powerful antioxidant) and, of course, Omorovicza's Healing Concentrate. This has a really nice feeling to it and I have found it to be instantly refreshing and hydrating. After using it a few weeks, I'd say my skin looks less parched and is definitely softer. Since adding all three of these new products to my routine, my skin is the best it's ever been. Not to sound narcissistic, but not only am I comfortable going out without make up on, I actually feel pretty without it. My boyfriend took me out for dinner last week and I dressed nicely, did my hair nicely but didn't wear a scrap of make up, but my skin was totally clear and actually glowing. I've truly never been in a happier place, skin wise. After a year long struggle with acne (albeit mild - but it's still frustrating and a huge confidence knock to constantly have spots that just won't go) up until about 6 months ago, I finally feel like I've got the skin of my dreams. It's soft, clear, radiant. I'm so pleased. 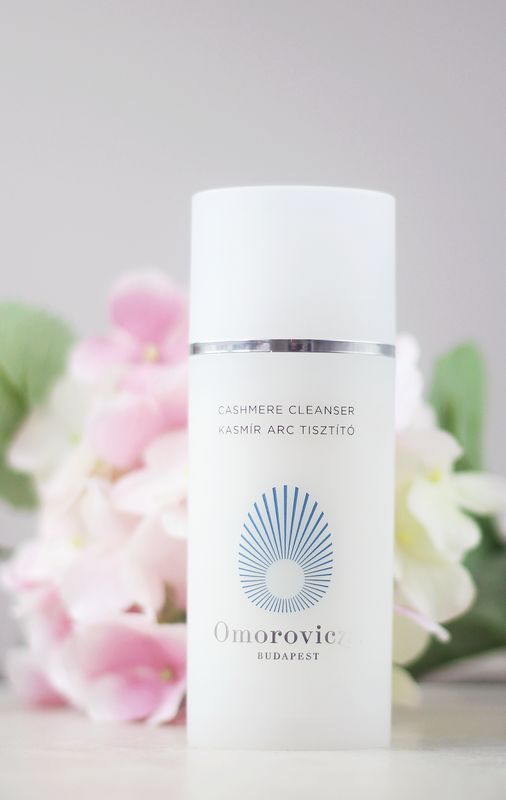 Have you tried Omorovicza before? 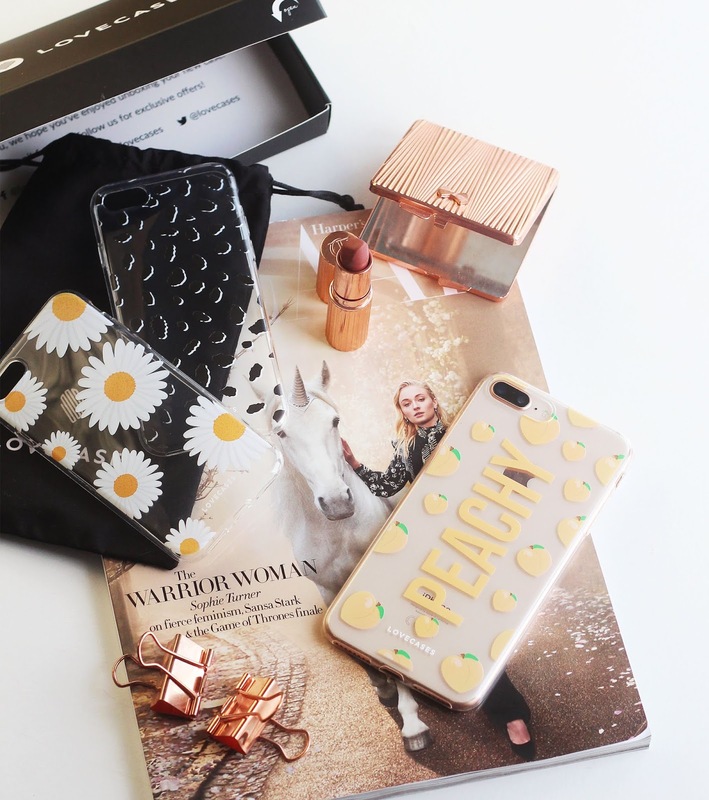 What's your favourite product, or, if you've yet to discover the brand, what's on your wish list? I received a sample of this a few months back & loved it! I have seen these on social media but never bought any..... yet!